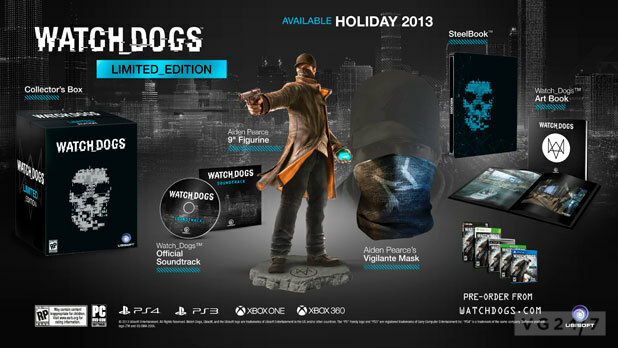 Watch Dogs is getting a Limited Edition in North America similar to the one announced back in April for the UK, below is everything that's included. You can pre-order the collection now for PlayStation 3, Xbox 360, PC, PlayStation 4 and Xbox One. Watch Dogs is scheduled to be released November 19, 2013 in North America, November 21 in Europe and November 22 in the UK.